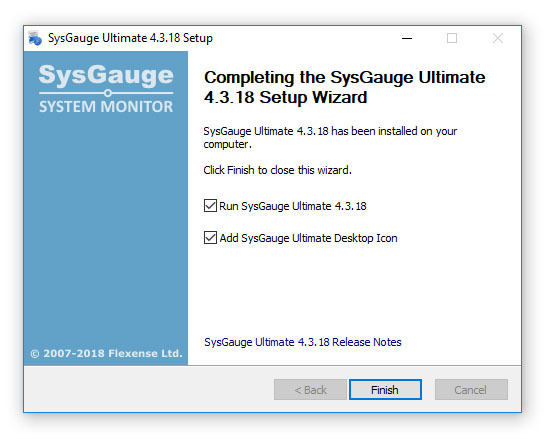 SysGauge is available as a free download from our web site page and from a large number of software directories from around the world. To be sure you are getting the latest product version check the downloads page. SysGauge is especially designed to be as simple as possible. The installation procedure is very simple, requires no special knowledge and may be completed in less than 30 seconds. There is no need for any additional software. 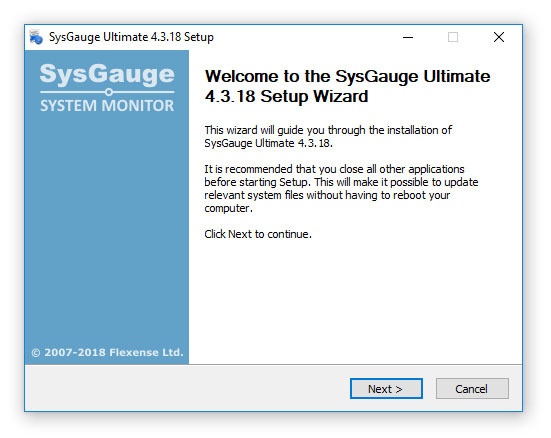 Just download the SysGauge installation package, run the setup program and you are done.